One way to get women interested in participating in the sport of disc golf is to create and run a league designed solely for women players. By running a league just for women, it gives a woman player a chance to work on her skills with other women in an encouraging atmosphere. Women’s leagues may be run separately or in conjunction with an already established league. There is no right or wrong way to run a women’s league. League organizers must work with the resources they have available and with the established disc golf community in their area. 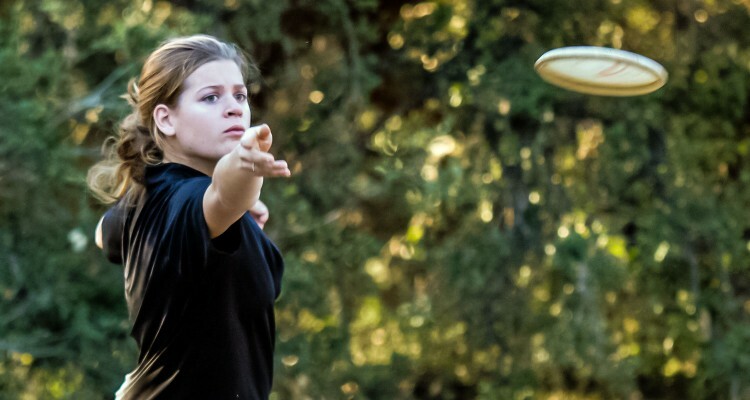 The main functions of any women’s league is to introduce new women players to the sport of disc golf, to help all women players increase skills and confidence, and to encourage women to become active members of local disc golf organizations and the PDGA. Before hosting any event, make sure to follow all park regulations and obtain any required permits. Charge low or no entry fees. Charge a minimal fee to cover expenses. Consider charging no fee at all. It may be necessary to find sponsorship to provide basic equipment and awards for players. Local players and clubs may be able to supply new and used discs and local disc retailers may be able to offer discounts on equipment. Local businesses may be able to donate prizes or offer discounts for participants. Reward a woman player with a brand new disc when she plays in her first league outing. Women will enjoy receiving a free disc just for trying league, plus they will be able to play whenever they want if they have their own disc. Make sure the disc is appropriate for beginning players, such as a lightweight Leopard, Valkyrie, Archangel, Shark or Aviar. Returning players can be given other participation prizes such as mini marker discs, a copy of the Rules of Play, stickers, or key chains, etc. Score keeping should be optional for beginning players. This highlights the idea that disc golf is a fun sport. Reward newer players with participation prizes. Offer CTP prizes or putting prizes for all the players. As players increase in skill level, they may keep scores and compete against each other. Award participation prizes to all players instead of rewarding only the players with the lowest scores. If payouts are given, at the end of each league session or season’s end, use flat payout schedules that reward the highest number of players This is not about how much can be awarded for winning, but how many new women are brought to the sport. Ensure that women players have the opportunity to play with discs that match their skill level. Offer lightweight, beginner-friendly discs like the Leopard, Valkyrie, Archangel, Shark or Aviar. You may also give new players used discs or have loaner discs available. By providing suitable discs for new women players, you increase the chance they will have a more enjoyable experience. Arrange for at least one experienced woman player to accompany each group of new women players. If there are not enough experienced players, play as a large group. It may take longer, but it should be enjoyable for all. Playing with more experienced players will help the new players to understand the basics of the game, rules and etiquette. Think about hosting your league at a recreational course in your area, playing from shorter tees or only playing nine holes. A championship level course, or course featuring difficult terrain, may not be suitable for beginning players. If a smaller course, or shorter tees are not available, set up short tees and mark with flags. You may consider having the newer players complete only 9 holes. As players gain skills, think about meeting at a larger course, playing longer tees, or completing all the holes. Be flexible and understanding of the limits and needs of the new players. Announce the league by posting flyers at all area courses. Include women’s league information on any local club/league websites. Make announcements at all local leagues and tournaments. Mention there is a minimal fee or it is free to play and equipment will be provided. You may also post league information on the dedicated area of the Women’s Forum on the PDGA discussion board. Hold a brief women’s clinic before each league session. Show a new technique or discuss a new topic each week that covers one of the basic skills or rules of the game. Contact us for more information on women’s clinics.